In two previous books, Osama’s Revenge and The Al Qaeda Connection, seasoned investigative reporter Paul Williams revealed the alarming potential for nuclear terrorism on U.S. soil and the sinister connections among organized crime, illegal immigrants, and al Qaeda. Now, Williams broadens his focus beyond al Qaeda to provide readers with newly uncovered information on terrorist activities in Pakistan, Iran, Iraq, other Muslim countries–and our neighbor Canada! What emerges is a harrowing picture of international terrorist activities, all aimed at the destruction of the United States and the collapse of the Western world. This cataclysm will usher in “the Day of Islam,” the dream of radical Muslims to see all of humankind fall in submission before the throne of Allah. Based on the “forgotten testimony” of the FBI’s “Confidential Source One,” as well as other sources, Williams first presents evidence of Osama Bin Laden’s purchase of highly enriched uranium in Sudan and nuclear devices from the Chechens and the Russian Mafia. He then offers further information on the workings of Pakistani scientists and technicians from the A. Q. Khan Research Facility to maintain and upgrade al Qaeda’s “bespoke nukes” (with explosive yields in excess of ten kilotons) for the “American Hiroshima.” This information comes with empirical proof that should dispel any doubts that these weapons not only have been developed but have also been forward-deployed from the seaport at Karachi to strategic locations within the Western world. Keeping the focus on Pakistan, he predicts a nightmarish scenario if President Pervez Musharref should be overthrown and his arsenal of sixty-eight nuclear weapons falls into the hands of radical mullahs. Williams also examines the role of the Iranians both in sponsoring terrorism and in planning the American Hiroshima. In addition, he uncovers many unreported and startling accounts of the terrorist activities of Hezbollah in America and presents evidence that the marriage between Hezbollah and al Qaeda has been consummated. Finally, he presents intelligence showing that grave threats to America come, not from just our southern border, but from Canada and its amazingly open policies regarding radical Islam. The greatest threat of all, he concludes, comes from within –not only from the radical mosques within every major American city but also the Islamic paramilitary compounds in rural areas throughout the country, including Islamberg in New York State, where new recruits are trained for the great jihad against the United States under the very nose of FBI and Homeland Security officials. Sure to be controversial, this shocking exposé sends a wake-up to Americans lulled into a false sense of security in the post-9/11 era. Pluralism in the Arab world has not yet matured into functional democratic politics. While ruling establishments, Islamist movements, and secular parties have introduced a much greater degree of pluralism into Arab societies, the imbalance of power and interdependence among these actors limits both the degree of political diversity and its effectiveness at bringing about reforms. The Arab world is likely to grapple with political apathy, low voter turnout, dwindling membership in registered parties, and shrinking constituencies for the foreseeable future. Even the Islamists, who demonstrated great ability to organize and gain followers in the past, have begun showing signs of decreasing popularity. “Getting to Pluralism: Political Actors in the Arab World” explores the balance of power between the disparate political forces of the Arab world. The essays in this volume examine the characteristics of the major political actors in great detail and assess the weaknesses of the secular parties. They also illustrate the complexities of Islamist participation in the political processes of several Arab countries-pointing out both similarities and differences. Finally, the authors evaluate how incumbent Arab regimes have been able to maintain their grip on power in spite of their claims that they support political and social reform. 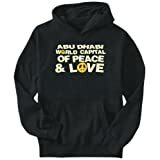 Dubai Ports World controversy.United Arab Emirates, Peninsular and Oriental Steam Navigation Company, Dubai Ports World, Anti- Defamation League, Arab American Institute, World Trade Organization, United States Congress, Mohammed bin Rashid Al Maktoum. Lippman’s study of the Muslim world–from its earliest roots to today’s global power politics–includes crucial new material on the Islamic community today. There are also updated descriptions of internal politics in Syria, Egypt, Pakistan and other Islamic nations. Essential reading for both students and all who seek greater understanding of the world in which we live. With rapid technology advances and the arrival of the information age, education systems as well as labor markets have undergone tremendous changes. These changes affect not only curricula and teaching methodology but also the nature of skills and competencies required of graduates and new entrants to a changing workforce in the 21st century. This book examines the importance of education in the development of nations in the new millennium. It is unique in that it engages in cross-national and cross-cultural studies ranging from Australia to Japan, Canada, and the United Arab Emirates. This digital document is an article from WWP-Report on Engineering Construct & Plant Operations in the Developing World, published by Worldwide Projects, Inc. on June 1, 2004. The length of the article is 1930 words. The page length shown above is based on a typical 300-word page. The article is delivered in HTML format and is available in your Amazon.com Digital Locker immediately after purchase. You can view it with any web browser. Title: UAE: Development plans for proposed $6,000,000,000 infrastructure projects, DUBAI MUNICIPALITY [UAE] – Order #: 058906.
and a modern, international style. that is inspired by the richness of the region s visual culture. to those now creating street art and poster design. the traditional, letter-based canon of Arab forms in striking ways. created by the book s editors, Ben Wittner and Sascha Thoma. Author Reza Safa, a former Shiite Muslim, reveals the nature of Islam from an insider’s point of view. Safa is well-versed in the laws and history of Islam and is able to communicate the agenda of this global force. This book explores the emergence of an anarchic states-system in the twentieth-century Arab world. Following the collapse of the Ottoman Empire, Arab nationalist movements first considered establishing a unified regional arrangement to take the empire’s place and present a common front to outside powers. But over time different Arab leaderships abandoned this project and instead adopted policies characteristic of self-interested, territorially limited states. In his explanation of this phenomenon, the author shifts attention away from older debates about the origins and development of Arab nationalism and analyzes instead how different nationalist leaderships changed the ways that they carried on diplomatic and strategic relations. He situates this shift in the context of influential sociological theories of state formation, while showing how labor movements and other forms of popular mobilization shaped the origins of the regional states-system. Jeffrey Herf, a leading scholar in the field, offers the most extensive examination to date of Nazi propaganda activities targeting Arabs and Muslims in the Middle East during World War II and the Holocaust. He draws extensively on previously unused and little-known archival resources, including the shocking transcriptions of the “Axis Broadcasts in Arabic” radio programs, which convey a strongly anti-Semitic message. Herf explores the intellectual, political, and cultural context in which German and European radical anti-Semitism was found to resonate with similar views rooted in a selective appropriation of the traditions of Islam. Pro-Nazi Arab exiles in wartime Berlin, including Haj el-Husseini and Rashid el-Kilani, collaborated with the Nazis in constructing their Middle East propaganda campaign. By integrating the political and military history of the war in the Middle East with the intellectual and cultural dimensions of the propagandistic diffusion of Nazi ideology, Herf offers the most thorough examination to date of this important chapter in the history of World War II. Importantly, he also shows how the anti-Semitism promoted by the Nazi propaganda effort contributed to the anti-Semitism exhibited by adherents of radical forms of Islam in the Middle East today. ABU DHABI – The 4th heritage world symposium organized by the Abu Dhabi Authority for Culture and Heritage (ADACH) started here on Monday under the theme “Heritage and Education …..Future vision”.